Fighting his way to the top, Cole Hunter has built the successful architectural firm he dreamed of all his life. But after a recent brush with death, Cole realizes what really matters to him and shifts his priorities. He is furious with the woman he loves for abandoning him, and he is willing to give up everything -- his company, his friends, his fame -- just to give her a taste of her own medicine. 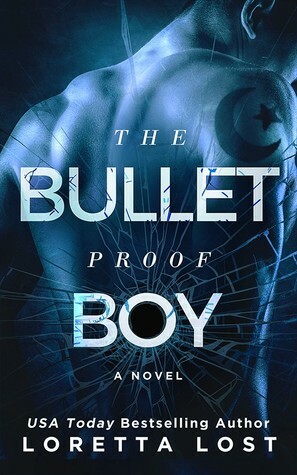 The Bulletproof Boy didn't give me the same feelings I got from The Fireproof Girl, but I still found it enjoyable. The story focuses on Cole and goes into his background. His complicated history with Sophie is explained, and we also dive into his troubled past. We even find out why he wants everyone to think he is dead. I really liked the characters and plot, and I thought it was pretty cool how there was a connection to Loretta Lost's Clarity series. But there were things that just fell a bit flat for me. Although this second book wasn't a 5 star book to me, I'm interested in finding out how this series will end.